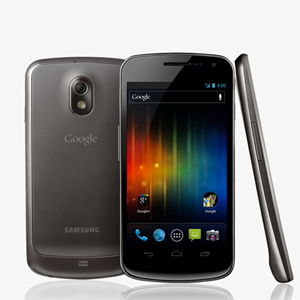 Google is giving away 10 Galaxy Nexus devices with Ice Cream Sandwich over the next 10 days, starting today. The contest will involve daily Twitter challenges, and the ones who tweet the right answers may win the coveted Galaxy Nexus. The challenges are limited to one entry per person per day, and participants must be from one of the following countries: Australia, Canada, France, Germany, Hong Kong, Japan, Netherlands, Singapore, Spain, South Korea, United Kingdom or 50 United States and District of Columbia. As mentioned, the first challenge rolled out a few hours ago, but it’s still not too late to participate. If you’re from one of the above countries, you’ll need to follow @googlenexus on Twitter and tweet the answer to the challenge in the described way. Don’t forget to mention @googlenexus in your tweet. For the next 10 days there will be a new challenge every day, up to November 21, so if you miss today’s you still have 9 more chances to try. Let us know how you fared! Explore more about: Google, Twitter. I don't know how good I'll be at answering the puzzle questions, but I am now following them. Thanks! Now I want to find the Office 2010 Tips & Tricks PDF file at your website. India and China not included in the list. scared of the competition or what?? What is a Galaxy Nexus and Why would I want one anyway!? Can I drive it to wal-mart? Can I sell it on ebay? You can definitely sell it on ebay. I really think they should be doing this on Google Plus. Plus, the net is a open to the whole world. Why limit it? Just goes to show how far we gotta go. I am really in needs to be one of the winners. Now that I got an iPod touch I couldn't be able to do anything with it because of all these upgrade on technology really got me a hard to to catch up that I couldn't offered any Mac or Apples and Moblie. Shouldn't they be doing this on Google Plus? They don't want to do promotions on Google + community .